Purchase that perfect Collingwood Waterfront Condo with the help from a REALTOR® with Condominium Experience. 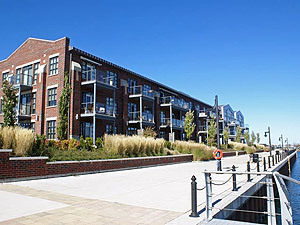 There are many reasons why you might want to purchase a waterfront condominium in Collingwood; maybe you want to move in and use the condo as a primary residence, perhaps you want to use it has a holiday home or plan to purchase it as an investment opportunity. Purchasing a condo for sale in Collingwood has a number of advantages over purchasing a standard house. For one, the security in a condo is better, as many condo developments will have their own guards, doormen and gates. They also frequently have better amenities; by shopping around you could find yourself a property with an on-site gym or even a clubhouse, swimming pool or other social areas. Maintenance is also an advantage for condo owners, as they will not need to be responsible for the maintenance of the property's external areas. Lawns will be trimmed, external damages – for example, after heavy winds and snow storms – the grounds be cleared and internal repairs can be easily arranged. Whatever your reasons for buying a condo, it pays to have a Collingwood real estate agent who is fully knowledgable with all the condo communities working on your side. This real estate agent should not only be well versed with the local property market and legal issues pertaining to property transactions, but should also have knowledge related to condo community fees, specifications and rules. With expert guidance, you will be able to achieve your goals of building equity as your property increases in value, gain revenue through rental income or experience the full benefits of a condo lifestyle. Simply explain your objectives with Christine and she will help you on your journey to fulfilling them. Purchasing a property in a condominium development also comes with its own set of unique legal considerations. With a helping hand guiding you along the way, you will be able to negotiate these considerations with ease. Collingwood provides a wealth of options for Buyers looking for a condominium. If you are a prospective Buyer that is looking for an apartment-style condo or a townhouse-style condo your needs will be well catered to as all properties have a similar range of options at their disposal. With such a large diverse of waterfront communities available in Collingwood to buy, gives Buyers a price range suitable for all budgets. Contact Christine to start your journey towards owning a condo with beautiful views of the Georgian Bay. She is ready to put her skills, knowledge and experience to work for you. Discover Waterfront Real Estate that suits your lifestyle. Looking for that perfect condo or townhouse to suit your lifestyle? Contact Christine Smith by email or call (705) 888-0201 to learn more about what she can do for you!